Starmobile outs Play Click entry level smartphone at Php 2,690. Check out full specs here. 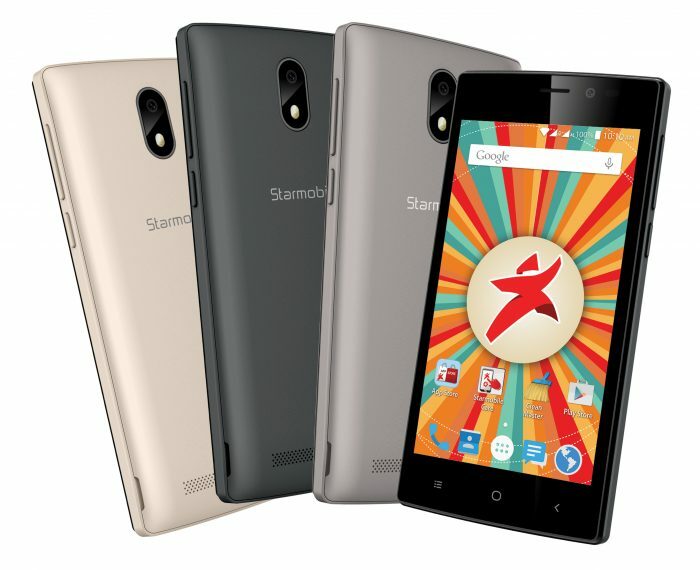 Starmobile Play Click is the company’s latest entry-level handset intended for the younger crowd. The handset is framed at 4.5-inch display which makes it larger than most smartphones in the sub-3K market. This worker ticks with a quad-core Spreadtrum 7731C coupled with 512MB of RAM. The 4.5-inch display packs 480 x 854 pixels to deliver, as Starmobile claims, an “immersive experience” in watching movies and playing games. As for the camera, the Starmobile Play Click’s 5MP and 2MP sensor combination would at least give a decent social media photos and selfies. Other features include 4GB of internal memory, dual-SIM capability (Regular and Micro SIM), 1650 mAh battery and Android 5.1 Lollipop. The Starmobile Play Click will hit the shelves in mid-June with Champagne, Dark Gray and Silver hues in Php 2,690 price tag.